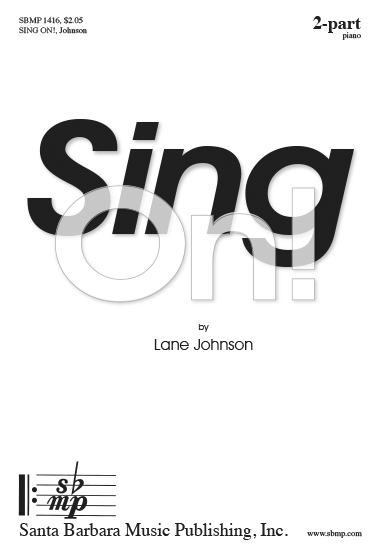 Sing On!, Lane Johnson | Santa Barbara Music Publishing, Inc.
Something inside me is changed. And it stirs the music in my soul. Whatever comes your way, Sing on! Sing on! Flowing from your heart until the day is past and gone. And find the things that keep you singing on. Fearing I can’t face what’s in store. You’ll find a way to carry on! Find a way to sing, sing on!